The amount of input and influence the employee has around the change, goals, processes, and outcomes. Research on stress shows that the degree of control a person has in a challenging or unpleasant situation is the No. 1 factor influencing their stress level. In other words, the more control an employee has in any situation, the more change, challenge, and uncertainty they can handle without becoming stressed out. The degree of clarity around what will happen and when it will happen; and the ability to connect cause and effect. During difficult times, if employees know what will happen next, it creates what psychologists call “perceived control.” Even if they don’t actually have any control over what happens next, knowing what will happen creates the feeling of control, as opposed to the helplessness of not knowing what is going to happen. The old saying about “the fear of the unknown” speaks to this phenomenon. The degree of clarity around organizational and departmental goals, possible scenarios, current state of affairs, how the changes will affect the employee, the mechanics of the change, and how the employee’s performance contributes to business goals. Just as with Predictability, having Clarity — knowing what is going on — creates the feeling of perceived control. Humans have an innate drive to understand, to make sense out of what is happening to them. Being able to make sense out of a difficult situation, understanding why it’s happening helps to create the feeling of perceived control. Conversely, when we don’t understand why something is happening, we feel helpless, which causes extreme anxiety. How employees explain to themselves what the change means in terms of their leaders’ character, and their leaders’ attitudes toward employees. So for instance, “Our big layoff was something our leadership team had to do and they did everything they could to avoid it” would be one way employees could explain the event. These two very different explanations would result in very different emotional reactions and therefore much different resulting stress levels. The time lapse between when change is announced and when it takes place, as well as the amount of time employees have to adjust to the change. The less time people have to prepare themselves for change, whether tactically or emotionally, the more stressed out they will become. The amount of stability and security employees have previously experienced and come to expect; and conversely, the amount of change they’ve had to adapt to already in the recent past. 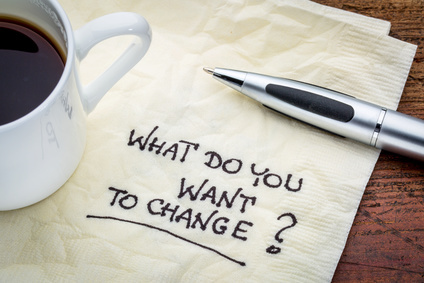 If employees are used to very little change in their work life, a major change will obviously be far more traumatic than it will to employees who are used to change. That being said, we all have a limit to how many major changes we can experience without feeling overwhelmed. Thus, if employees have already had to deal with major changes in the recent past, they are more likely to be at their adaptability limit than employees who have not. The overall mood and emotional ambience of the organization, and the degree of goodwill between employees and management. The more positive the emotional climate, the more resilient the workforce and the less stress employees will feel during challenging times. The level of trust, respect, and goodwill the employee feels toward their supervisor, and how open they feel they can be with their supervisor. The more open and trusting this relationship, the more willing employees are to ask for the information they need, voice their concerns, and feel heard, all factors which reduce stress and build resilience. The level of camaraderie among employees, as well as the norms regarding openness and authenticity. Good relationships mitigate stress and its effects. Because relationships play such an important role in resilience, the stronger the relationships in the organization, the more resilient the workforce. When people feel like they can share their burdens with others, and that others “have their back,” they can handle much greater adversity than those who feel like they have to do it alone. The quality of the employee’s family and social network, and the amount of support one can count on from their network. An employee’s personal relationships can have either a net positive or net negative effect on stress level. While good relationships buffer people from stress, bad relationships are obviously a major source of stress. Thus, an employee’s personal relationships have a significant impact on their overall stress level and ability to handle challenging times at work. Employees’ ability to discuss his or her thoughts and feelings about the change to the point where they can “move on” to the next step. “Ability” refers both to the employee’s individual skill level and comfort with discussing difficult issues, and how Factors 8, 9, 10, and 11 affect their opportunity to do so. How much stress an employee is currently experiencing from work and his or her personal life. If their current stress load is already high, their capacity for handling more challenge will be less than a person with a lower stress load. The employee’s perception of how adequate his or her skill set will be in meeting the challenges and new requirements brought about by the change. The greater a person’s self-efficacy, the more they have a “Bring it on; I can handle it!” response to change. The employee’s overall capacity for dealing with stress, pressure, and change. Resilience is our ability to “not sweat the small stuff,” perform well in demanding situations without getting stressed out, bouncing back from adversity, and responding flexibly to change. With greater resilience comes an increased ability to handle change, challenge, and uncertainty.